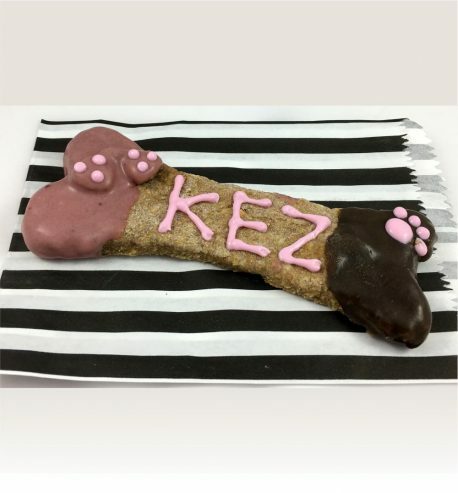 One pack consists of one Large Personalised Dog Bone. 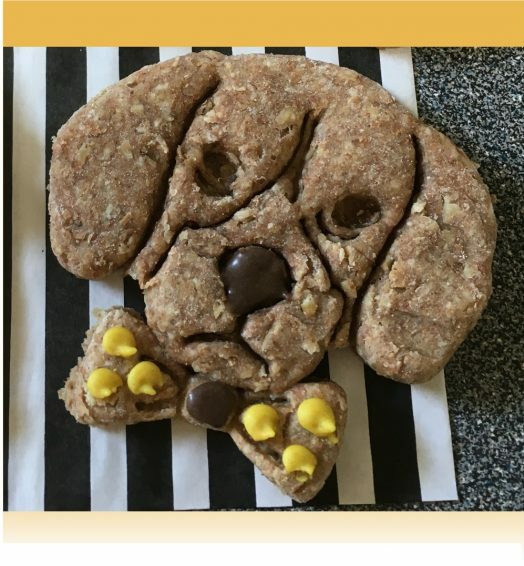 These Personalised Dog Bones are made with wholemeal flour, oats and peanut butter. 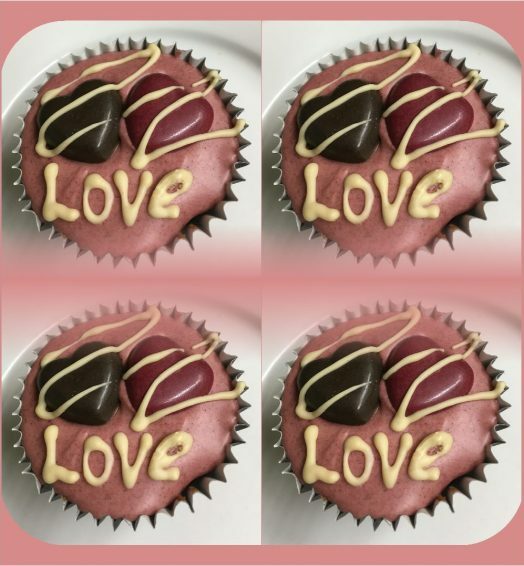 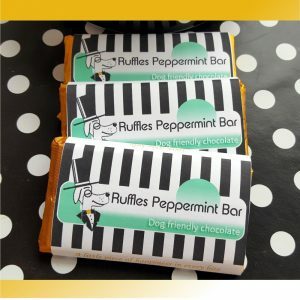 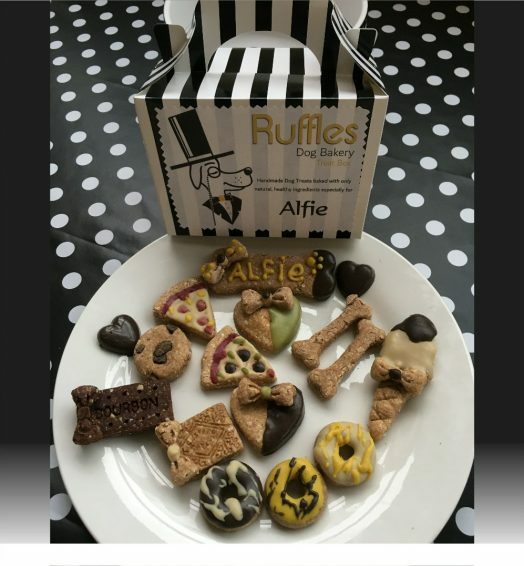 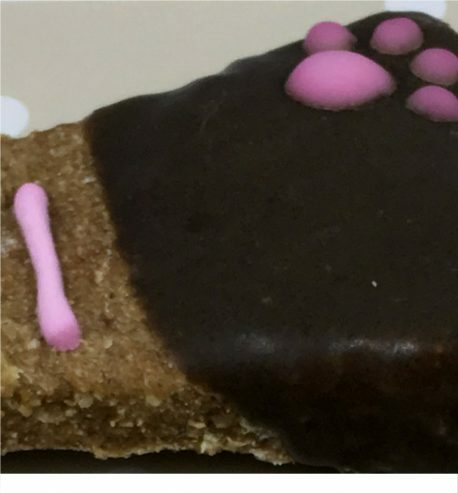 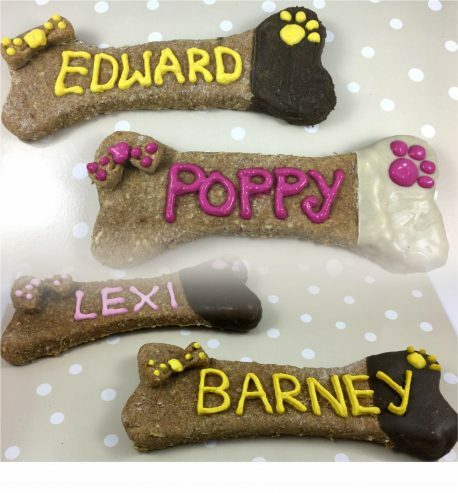 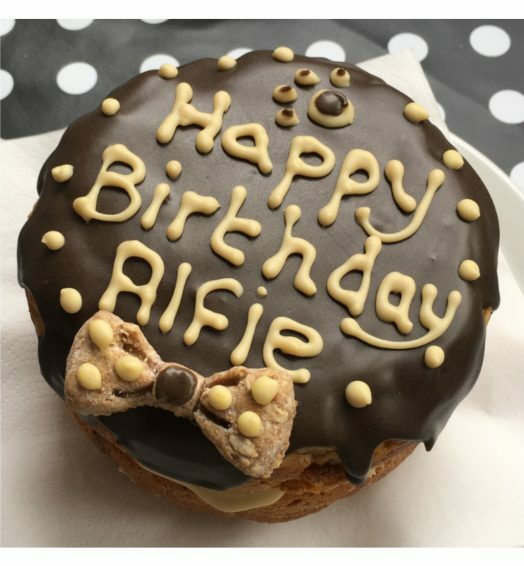 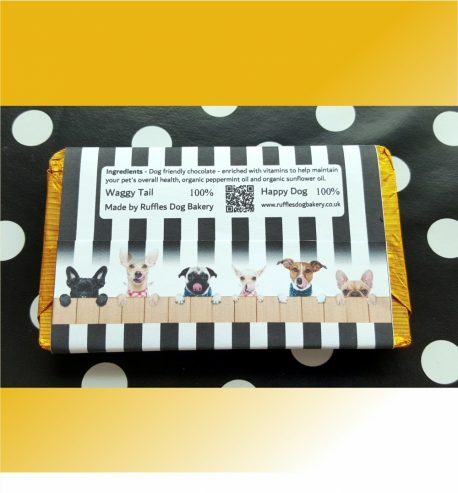 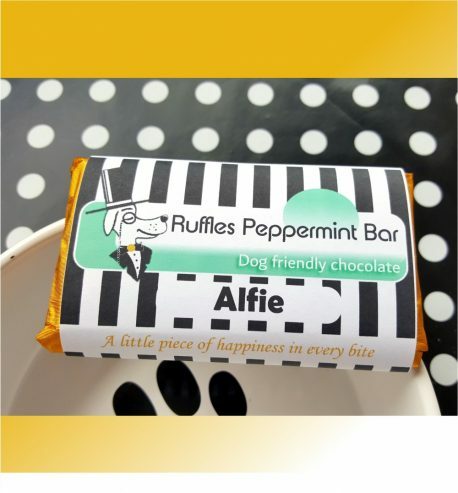 The baked bones are dipped in dog friendly carob white or brown chocolate and personalised with your dogs name. On delivery we suggest storing your treats in the refrigerator. 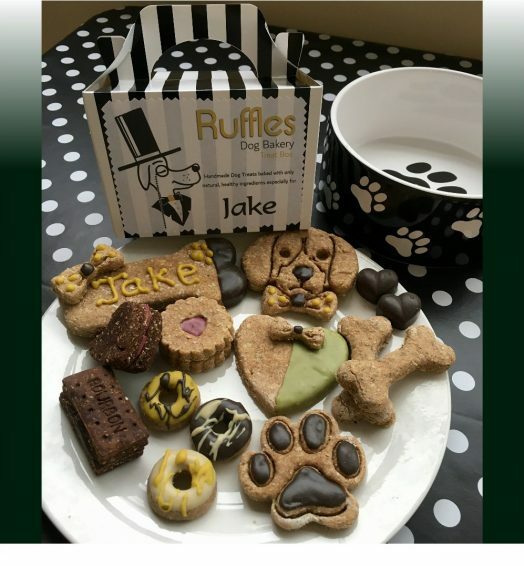 Stored correctly treats should have a shelf life of 3 weeks or more.